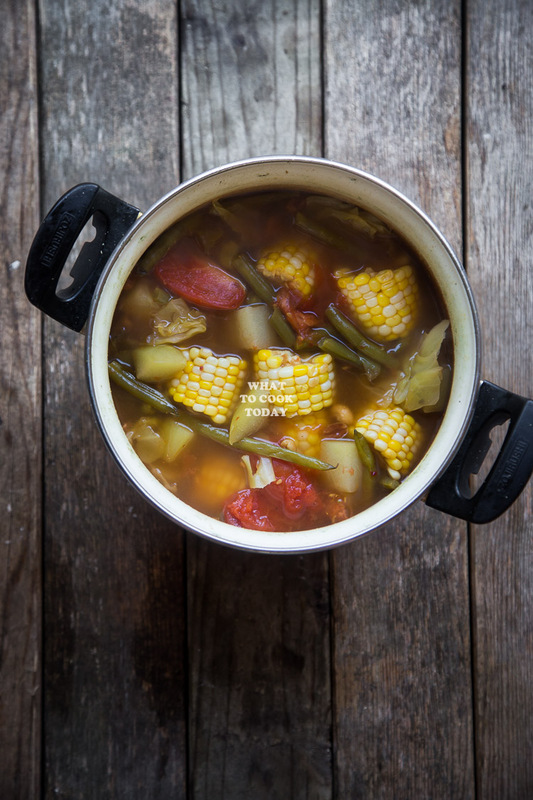 Vegetables are cooked in Tamarind broth and other common Indonesian spices and herbs. It’s sour, sweet, and lightly spicy. 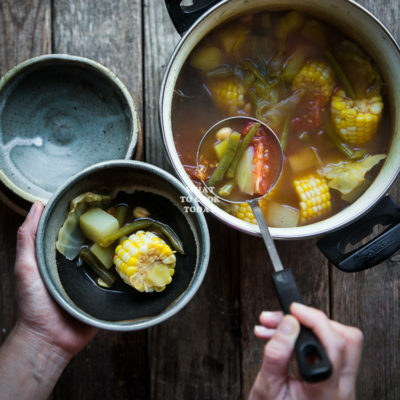 The origin of this Indonesian vegetable tamarind soup or known as sayur asam/asem can be traced to Sundanese people of West Java, Banten and Jakarta region. 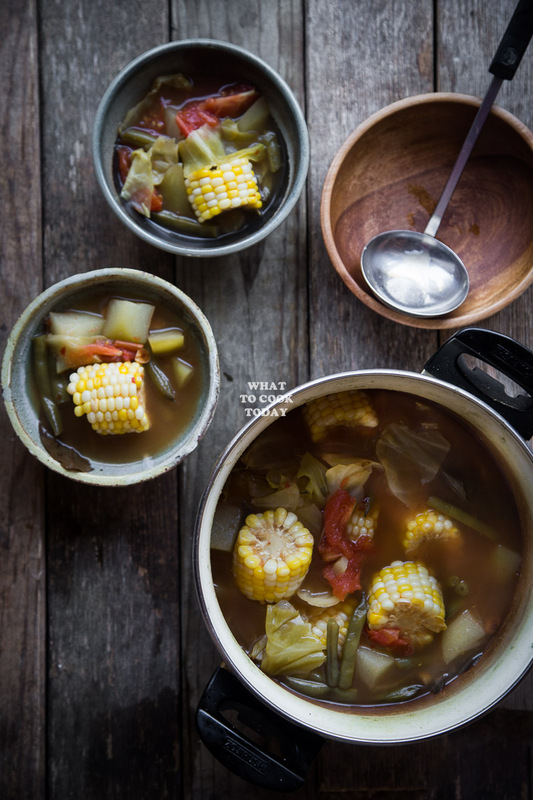 Sayur asem, needless to say, is a favorite among many locals. 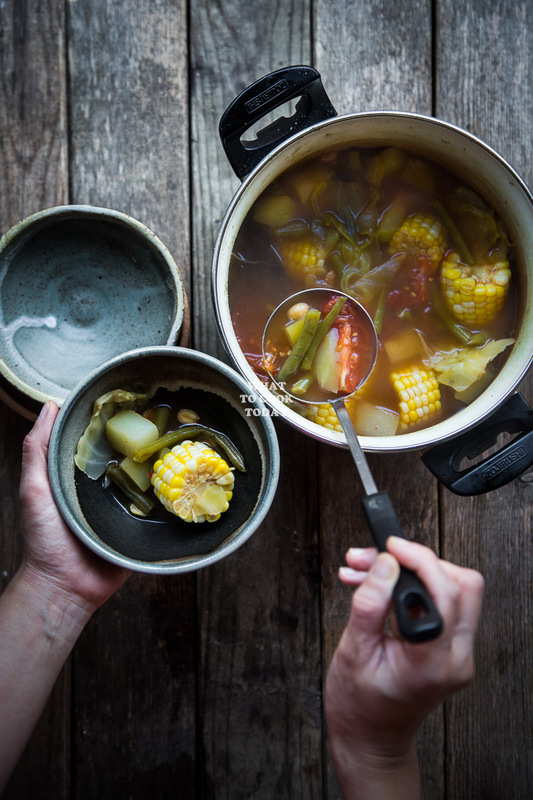 Whenever we went to restaurants that serve native Indonesian cuisines, we always order this sayur asem soup. The soup are made with lots of different variety of vegetables. 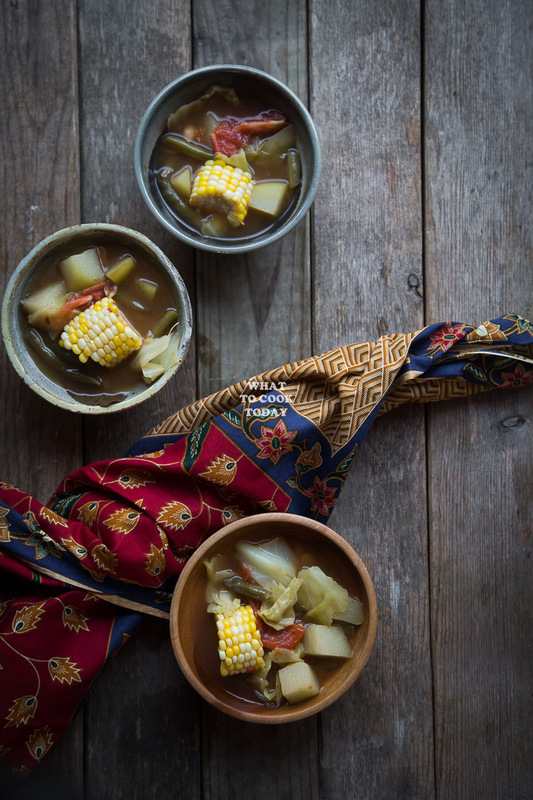 Common vegetables used in this sayur asem are melinjo (which I couldn’t find here in MN), chayote, long beans, corn, cabbage, tomatoes and all cooked in tamarind-based and spices soups. Melinjo or known as Gnetum Gnemon is native to Indonesia and the seeds are famously used in this sayur asem or ground into flour to make crackers call emping/melinjo crackers. This is one of my favorite soups. I used to buy the Tamarind soup paste from the store and all you need are the other ingredients. I noticed though there are MSG in the ingredient list and so I have came up with my own vegetable tamarind soup after many rounds of adjustments made to the recipe, I think I finally got it to where I like it. I have no luck in finding melinjo so far, however, the sayur asam still turned out fabulous. 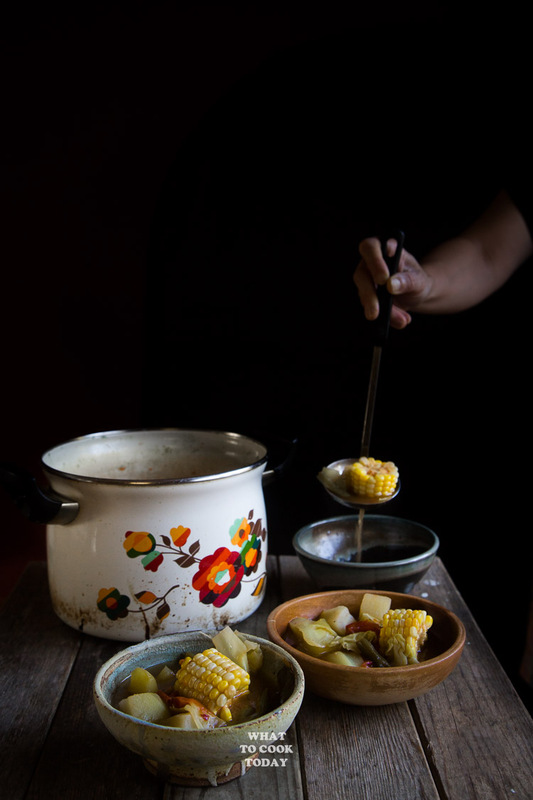 Vegetables are cooked in Tamarind broth and other common Indonesian spices and herbs. It's sour, sweet, and lightly spicy. Do they eat this with rice or other carbs? hi — how many people does this recipe serve? It can serve 4-6 generous servings.